Eyebright is an attractive little plant with small white bright-eyed flowers. It is particularly noticeable when growing in profusion amongst the plants in old grassland as an uplifting constellation of small flowers. Eyebrights are an extremely variable and botanically difficult group of species and subspecies. The seed we offer is (probably!) 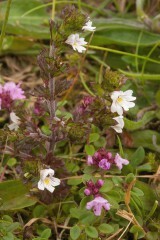 Euphrasia nemorosa: the commonest eyebright in England and Wales. Its flowers, like all eyebrights, carry a yellow blotch on the lower lip and are often tinged purple. In many respects eyebright is like a smaller cousin to yellow rattle as it shares many characteristics including being hemi-parasitic on other grassland plants. 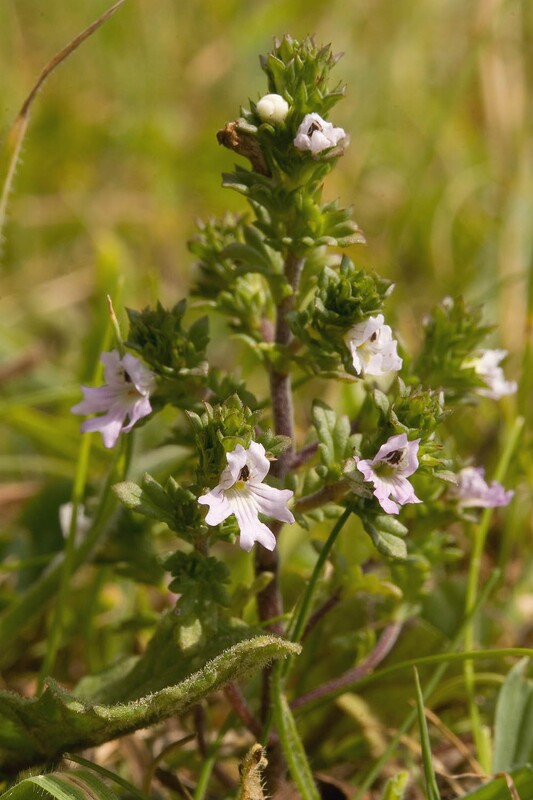 Eyebright is an annual hemiparasite of low fertility grasslands particularly dry habitats on calcareous soils including meadows, roadsides and lightly grazed pastures. 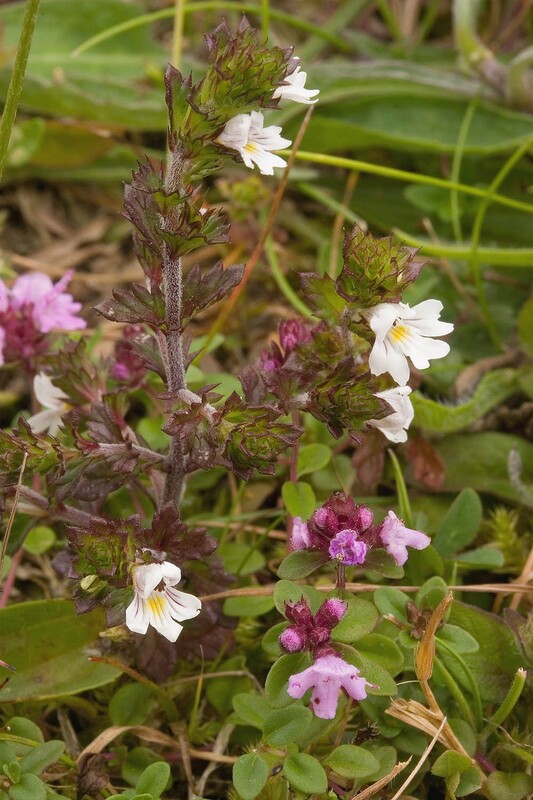 Eyebright plant forms vary considerably in response to habitat. The seed we offer was collected from a plant population growing in a Cumbrian meadow and so as a consequence is a relatively robust type. Eyebright, like its larger cousin yellow rattle, parasitizes and draws nutrients from the roots of a wide range of meadow plants including grasses and legumes. 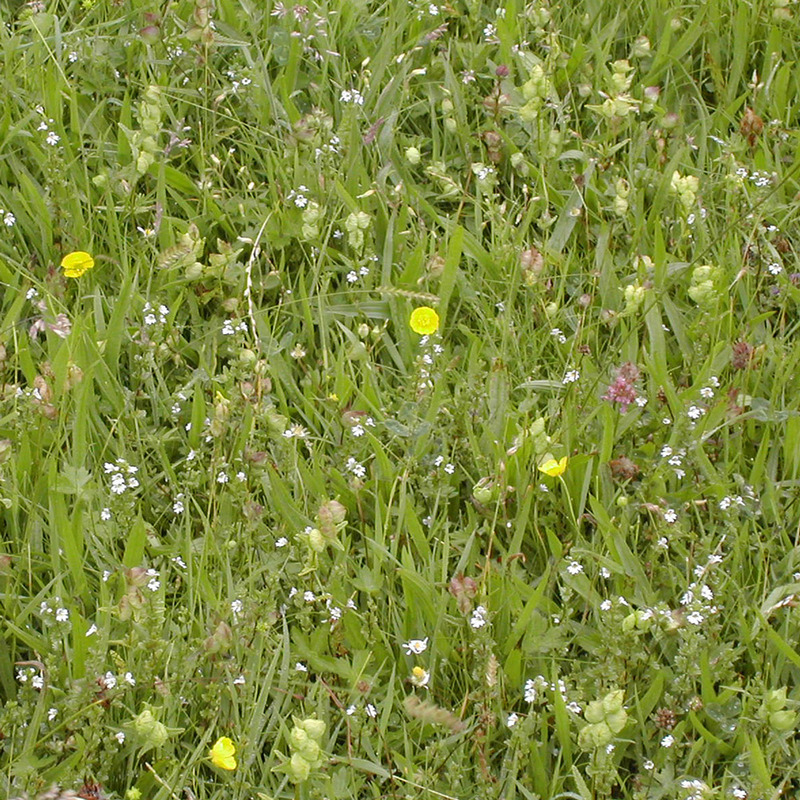 Research has however not established to what extent eyebright debilitates its host plants or can change as a result the balance of species in grassland. It would seem that its influence is more subtle than that of the more substantial yellow rattle. Seed requires a period of chilling to break dormancy and germinates in early spring. There is no persistent seed bank in the soil. 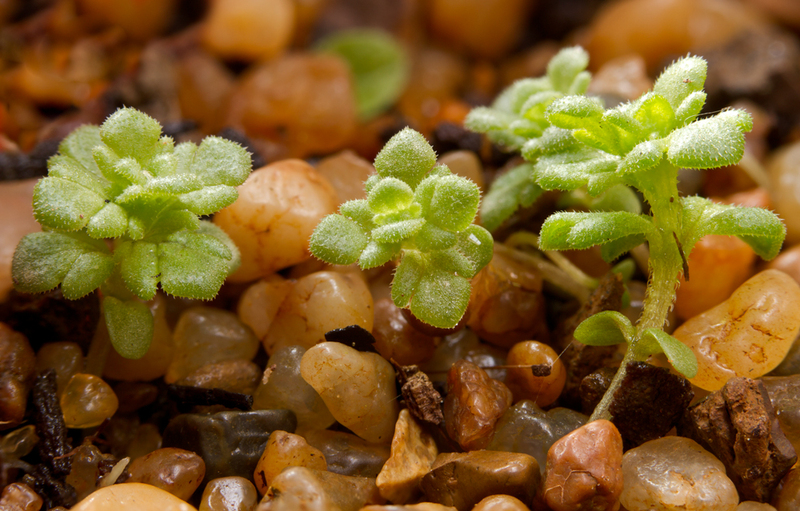 Eyebright seed must be sown in autumn as it needs a prolonged period of chilling through the winter to trigger its germination the following spring. 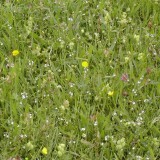 Eyebright can be sown as part of a mixture, or on its own into established grassland prepared as below. Eyebright seed is very fine so low application rates of 0.1g/m2 are probably sufficient to inoculate a site. Broadcast seed on to your prepared surface. This species is currently only available as a part of a mixture also containing Agrostis capillaris – Common Bent This may be suitable for sowing as part of a custom mixture in which bent is acceptable component. Contact us for details.